Siemens, a German industrial giant, has a relationship with China that can be traced back 145 years when the company supplied the country with its first pointer telegraph. Since then, Siemens has put down roots in China and become a firm partner in China’s development with work on the country’s first tram, first hydroelectric station and other ground-breaking projects. A key player of the fourth industrial revolution or “Industry 4.0,” Siemens is leading the digitalization of enterprises. During the upcoming first China International Import Expo, the company will exhibit cutting-edge technology, solutions and project-operation techniques for electrification, automation and especially digitalization. The company’s exhibits at the venue will cover fields including energy transformation, digital manufacturing, digital cities and the Belt and Road—items that are crucial for China to further strengthen international cooperation. What is digitalization? What is the “Internet of Things”? What is “Industry 4.0”? These abstract concepts are being translated into concrete forms in Electronic Works Amberg of Siemens. The digital factory in eastern Bavaria, Germany, is the most advanced of its type in Europe and even the world. The factory manufactures one control device per second on average, which amounts to 15 million units annually across 230 working days. Its product qualification ratio averages as high as 99.9988 percent, a number that no other similar factory can rival. 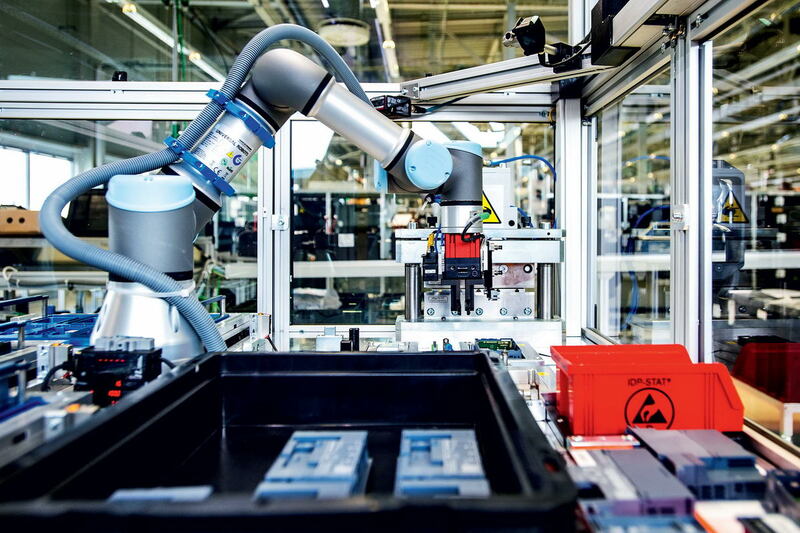 With highly automated production, computers in the factory automatically process three quarters of work procedures, preparing delivery for about 60,000 global clients within 24 hours. In September 2013, Siemens Electronic Works Chengdu, a sister factory of Electronic Works Amberg, opened in Sichuan Province in southwestern China. The factory, a research and development (R&D) base for Siemens’ global industrial automation products, is completely digitalized from management, product R&D and manufacturing to logistics. With the help of information technology, its data is interconnected with Siemens’ manufacturing base in Germany and R&D center in the United States. Currently, the first-time product qualification ratio is higher than 99 percent at the factory. It cuts delivery time in half compared to other Siemens factories in China. To maintain advantages in global competition, manufacturers around the world are maximizing their usage of resources and increasing production efficiency. This is exactly what digitalization can facilitate. The Siemens factory in Chengdu is a good reference point for China’s future manufacturing. Chinese manufacturers are facing a pressing need for transformation because low-cost labor is no longer the strength of “Made in China” in the global market. Today, the Chinese economy is undergoing structural reform with innovation-driven development. Digital transformation will impact China’s economy profoundly as it drives China’s industrial upgrade. As it promotes digitalization, Siemens is radiating digital energy by creating new business modes alongside Chinese enterprises. Statistics show that by the end of 2017, Siemens had provided technological support for more than 167,000 industrial enterprises in China and had assisted more than 1,000 small or medium-sized Chinese enterprises with equipment upgrades by offering financing solutions. Siemens installed its signal systems into 33 metro lines in 15 Chinese cities to provide efficient, reliable and convenient service as well as supplying efficient turbine technology for more than 45 percent of China’s thermal power plants. Over the years, China has become one of the largest research powerhouses for Siemens, and now the country is home to 21 of its innovation centers and more than 4,500 R&D and engineering staff. These employees work in innovation laboratories across the country from Beijing and Shanghai to Suzhou, Nanjing, Wuhan, Wuxi, Qingdao and Chengdu. 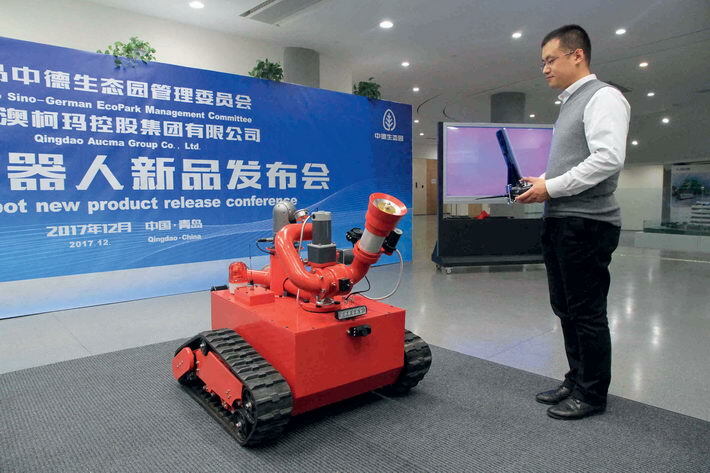 McKinsey forecasts that China’s demand for senior technological personnel will reach 140 million in 2020, but supply will fall short by 22 million. The “Made in China 2025” plan alongside waves of digitalization not only presents great opportunities for Chinese manufacturers, but also raises the necessary skill level for employees. Along with deep cooperation with Chinese manufacturers, Siemens also introduces cutting-edge engineering concepts and advanced talent development systems into China’s educational system to cultivate the next generation of innovative talent and support China’s industrial upgrade to realize the goals outlined in the “Made in China 2025” plan. From 2011 to the end of 2015, Siemens invested in China’s education with capital and facilities totaling 711 million yuan. As of 2015, Siemens had built more than 300 laboratories in conjunction with Chinese universities and colleges, producing 56 types of text books about electronics and machinery. In May 2018, Siemens signed a memorandum of understanding on educational cooperation with China’s Ministry of Education to cultivate innovative talent for “Made in China 2025” under the framework of China-Germany cooperation. “The future of digitalization is not just about technology or business, but more about enterprises’ ultimate missions, which need to create value for society. This is what Siemens advocates,” stressed Wang Haibin, general manager of the Digital Factory Division of Siemens China.